Xert continues to roll out a wide range of innovations to make it a comprehensive fitness monitoring, tracking, and planning ecosystem. Our latest roll-out is the Training Advisor, an adaptive technology that can guide you day to day with your training leading up to a target date and Focus. As the Sports Scientist for Baron Biosystems, I will be putting my legs where my words are, and will predominantly use our new Training Advisor over this winter for my training. Let’s go through some of the main parts of the Training Advisor screen to get ourselves familiar with its options and with how to use it. The upper left of the main page should be familiar to everyone. There are basic data of your age and weight, along with your desired Athlete Type that you can change in your Account settings. In my case, with my focus on cyclocross and early season gravel races, I know from past races that the dominant focus is Breakaway Specialist. There is the familiar coloured stars system. 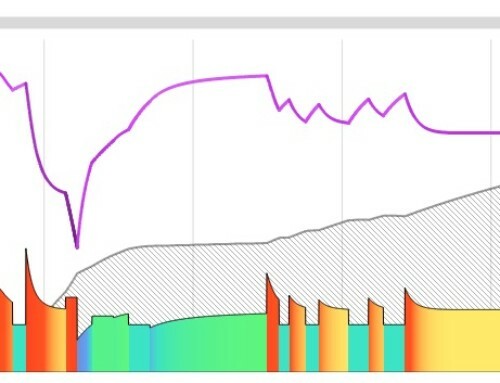 The Training Status of 1-5 stars is based on your Training Load, while the colours (from purple = detraining to red = very tired are based on your Training Status & Form. In my case, my final CX race was at the end of October, and I’ve taken 4 out of the 5 weeks afterwards completely off due to conferences. Therefore, my TL has dropped from 4 stars down to 2 at the start of this off-season. On the lower left of the main page is where you can set your target event date. In my case, I’ve set it for April 8, 2018 to coincide with the start of a month of gravel racing. The Training Advisor works backwards 120 days from this event date to build a periodized program, consisting of 45 days of Base, 45 days of Build, and 30 days of Peak. As you progress to Build and Peak, the Training Advisor will recommend workouts more targeted towards your selected Athlete Type. 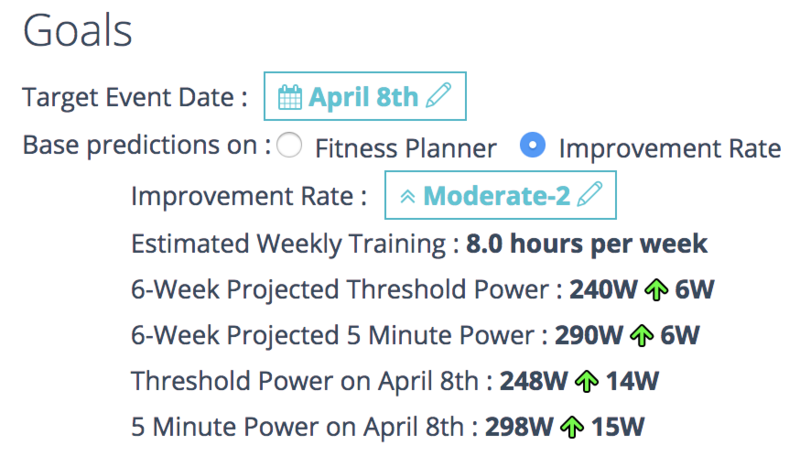 You can choose to base Training Advisor on a targeted buildup of Training Load by adjusting the Improvement Rate, ranging from a weekly XSS Ramp Rate of -2 (Off-season) to +7 (Extreme). In my case, I’m starting with a ramp rate of +3 (Moderate-2). Note that the estimate weekly training will change depending on what Improvement Rate you have chosen. For example, by choosing a Maintenance (0 ramp rate), training reduces to 5.8 h/wk, while an Extreme-2 (7 ramp rate) would require 10.8 h/wk of training. 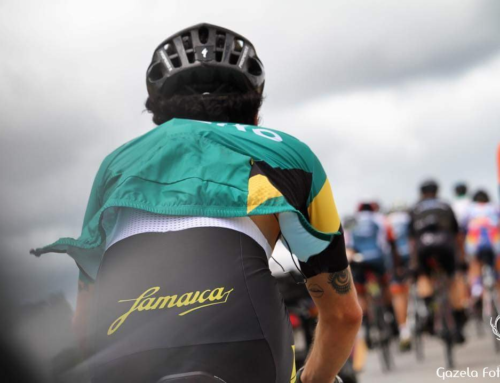 This can help you adjust training week-to-week based on your own time available. Your projected fitness will also change based on which Improvement Rate you choose. 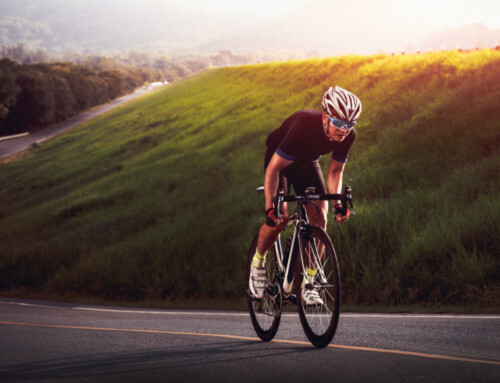 Based on these values and your current Fitness Signature, the Training Advisor will estimate the weekly training you need to perform, along with the 6 week and target event Threshold Power and Focus values. You will see that my TP/Focus is projected from a current 234/283 W to 248/298W by April 8. Today’s Advice is the heart and primary summary view of Training Advisor. It tells you what phase (Base, Build, Peak) of training you are in currently, your Improvement Rate, how much XSS you have left to accumulate this week (20 XSS in my case left to do Sunday) to maintain your desired Improvement Rate, your hours of training in the coming week (8 in my case) to maintain this Improvement Rate. The second paragraph suggests a broad category of workouts for you to consider, both in terms of Focus (Endurance in my case) and Hardness (1 star or easy, 20 XSS). The bottom right is where the Training Advisor’s adaptive technology really comes into play. 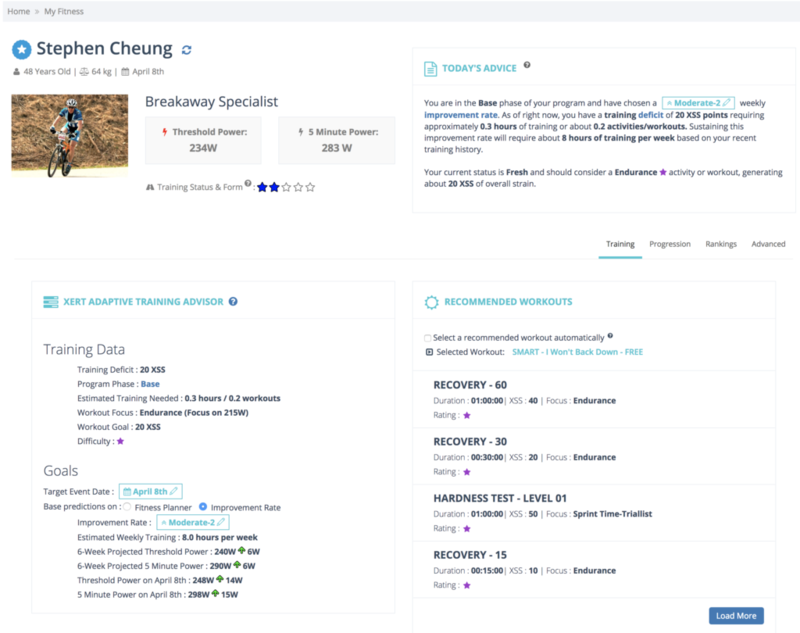 Based on a number of important considerations, the Training Advisor ranks all the workouts in your library to find those that best match what your current training needs are. When auto-select is enabled, the advisor will randomly choose from the top 4 recommended. 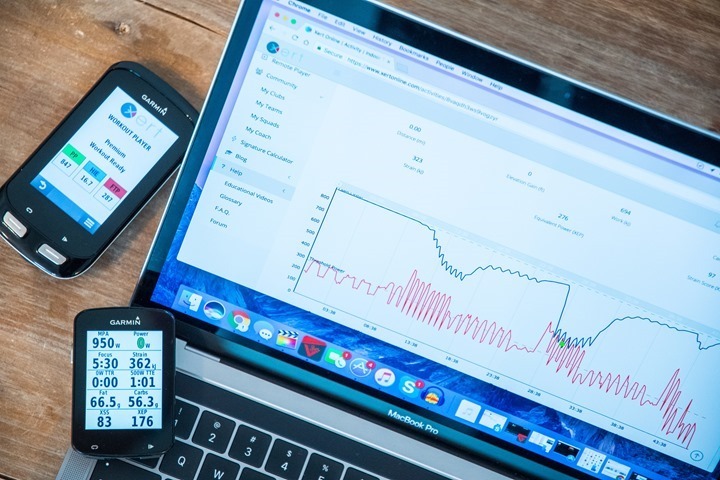 The data used in scoring is continuously updated throughout the day, every day, ensuring that when you decide you train, you’ll get the most up-to-date recommendation available. Hovering on a workout gives you the general power profile, and clicking on a workout selects it. That workout is then automatically uploaded to Xert’s Remote Player, along with the Android and new iOS app. It can also be transferred to your Garmin the usual way via Bluetooth. 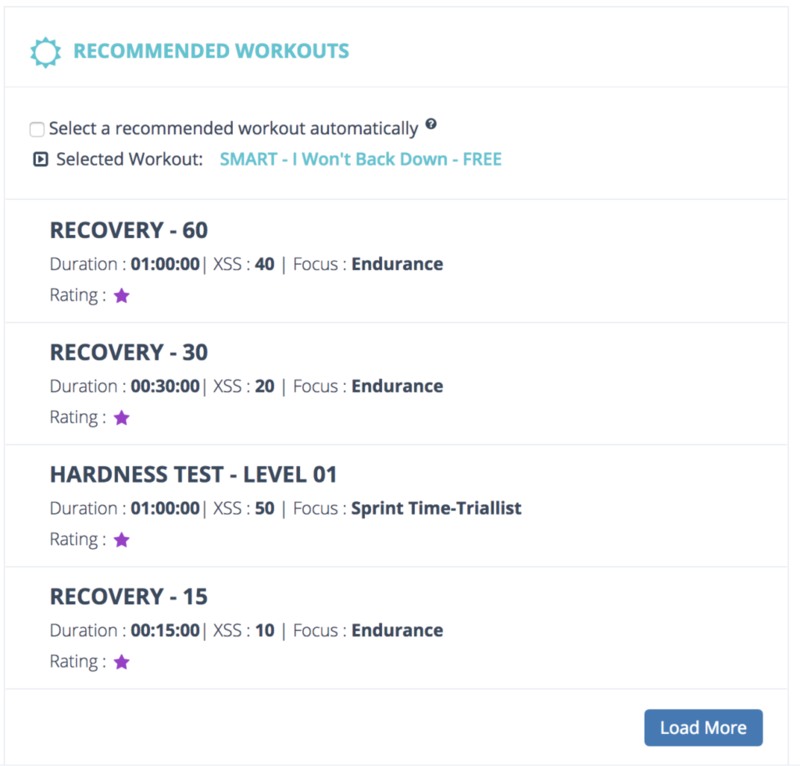 The “Load More” button opens up further possible workout options that roughly fit the recommended training suggested by the system. You are of course free to select any workout from the Xert library, or do any other ride that you desire. Sometimes, just riding to reduce your XSS deficit at the recommended Focus can be quite effective. I hope that you see the power and adaptability of Xert’s Training Advisor. 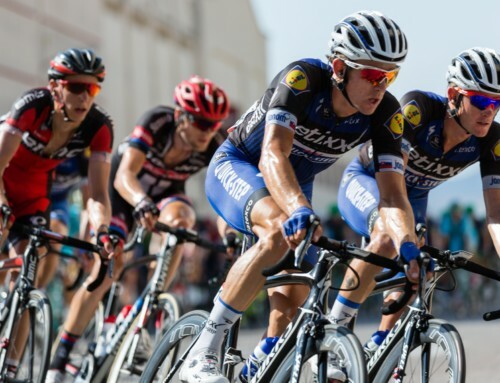 Day to day, it will adapt to your training history and your desired target, recommending training that will put you on that idea path to a peak performance!